The psychological thriller Get Out is getting rave reviews on Rotten Tomatoes managing to maintain a score of 100 per cent. For the record that means that every review on the site, and there are 40 so far, has been positive, quite the achievement considering its risky content. You see Get Out isn’t your bog-standard horror film with a monster living in the walls or a nutter with a knife chasing people down, in this movie it appears that the bad guy is sweater wearing, middle class, white people. A controversial choice of course but one that writer and director Jordan Peele was keen to explore. 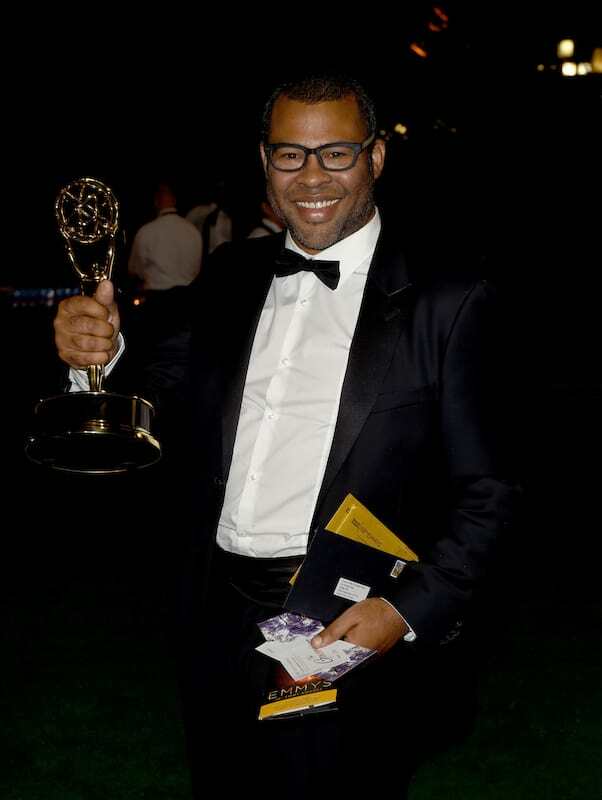 In an interview with IGN Peele, best known for his work on Key and Peele, explained that when he started writing Get Out it was about being an ‘outsider’ but over time it evolved into an exploration of ‘race’. It just seemed to be a very taboo piece of the discussion to talk about something so horrific as racism in any type of genre other than a film about slavery or something. I knew that this premise was a very tricky one and one that has a lot of potential pitfalls. I knew that the only way to make this movie work, besides getting the tone right, was that the plot would have to reveal the judgments and the presumptions we would have about the movie are in fact our presumptions. Not everyone’s raving about Get Out though with Time Out New York’s Joshua Rothkopf scoring the film just 60 per cent, still as far as horror films go it’s getting a surprising amount of critical praise. Get Out stars British actor Daniel Kaluuya as Chris, a normal down to earth guy who goes to visit his white girlfriend, Rose’s, parents. To his surprise he discovers Rose hasn’t informed her parents that he’s black. Unable to relax in their home Chris soon discovers the sinister suburb’s secret history of young black men disappearing. Get Out opens in the UK on March 17.